There’s a program offered in your area that can help you lose weight and live a longer, healthier life. Did you know that 86 million American adults are at risk for diabetes? And most don’t know it! That is an astounding fact. 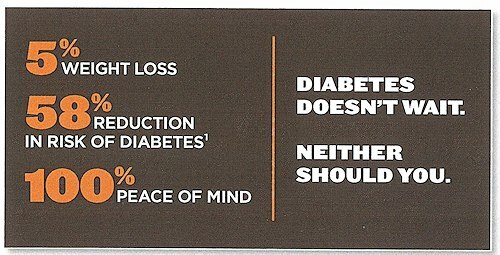 Put another way, 1 in 3 American adults has prediabetes. The risk goes up to over 50% for seniors aged 60 years or older. About 1.8 million adults in Washington has prediabetes and are at risk for developing type 2 diabetes. And most people with prediabetes don’t even know they have it. People with pre-diabetes often do not experience any symptoms. A person’s risk for diabetes includes: a family history of diabetes, history of gestational diabetes, being over the age of 45, overweight, and physically inactive. Click here to take the simple test to know your risk score. The Diabetes Prevention Program is a proven program that can help ou lose weight and prevent or delay the onset of type 2 diabetes for people at risk. The Diabetes Prevention Program is a 16-week lifestyle change program that supports people in making changes to reduce their risk for type 2 diabetes. The Diabetes Prevention Program empowers people to lower their risk for type 2 diabetes by losing modest amounts of weight by decreasing fat and calorie intake and participating in regularly in physical activity. You will also learn motivation techniques and stress management to keep you on the path to good health. The sessions will help participants develop lifelong skills for healthy living through step-by-step changes. Following the sixteen-week series, monthly sessions will be held to help participants maintain their lifestyle changes. 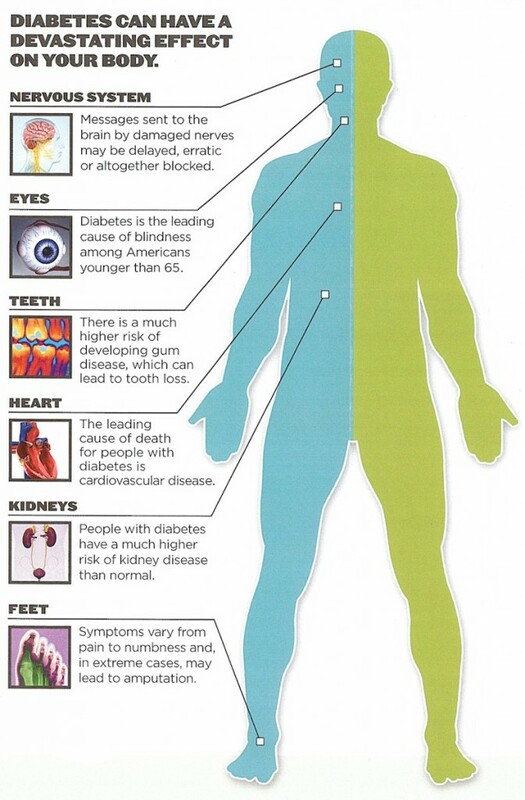 Diabetes can also lead to other serious health issues. Some people face a higher risk than others. Blood Glucose Tests – A blood glucose test can help determine if yo qualify to participate in the Diabetes Prevention Program. 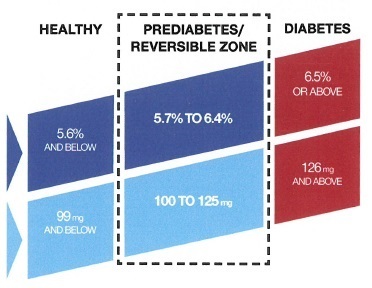 To participate in the program you blood value must fall in the PREDIABETES/REVERSIBLE ZONE. Or you can also qualify by scoring 9 or higher on the Risk Quiz. A1C TEST – The A1C is a test to find out if you have prediabetes. A1C shows the average amount of glucose (sugar) in the blood over the past 3-4 months. FASTING PLASMA GLUCOSE TEST – The fasting plasma glucose test measures teh amount of glucose in your bloodstream at a point in time after you have not eaten any food. 1.) Lose weight: In many cases, losing just 10-15 pounds – especially belly fat – can make a huge difference and return blood glucose levels to a normal range. Just a 7% weight loss can reduce your risk of diabetes. 2.) Exercise more: Relax – it doesn’t have to be overwhelming. Thirty minutes of moderate activity most days of the week is enough. Even short walks are effective. 3.) Stay away from unhealthy foods: Find comparative alternatives to high fat and sugary foods. 4.) Live Healthy: Make a fresh start by watching your diet, quit smoking, be responsible with alcohol and get plenty of sleep. *Class has twelve weekly one hour sessions, four bi-weekly, and seven monthly sessions. **You must be enrolled by the third class. Fee: Varies based on insurance coverage, income, use of flexible spending accounts, or scholarships or private pay. Fees may be covered by your medical insurance, potential scholarships or a sliding fee schedule. Millions are at risk and don’t even know it. Got 30 seconds? Click here to take the Pre-Diabetes Quiz – it could add years to your life. Prediabetes is when you have higher blood sugar levels than normal, maybe enough to start doing damage to the body. Fortunately, it can often be reversed through weight loss, a healthier diet and an increase in activity. But if the blood sugar levels in your body become too high, it can develop into diabetes. Once that happens, it cannot be reversed.